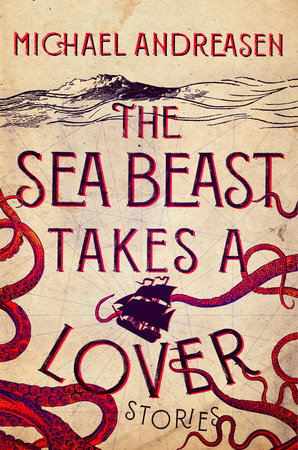 Dazzling and delightful, with its feet only slightly tethered to the world we know, The Sea Beast Takes a Lover explores family, faith, and longing though a kaleidoscope of surreal landscapes and spellbinding characters. Andreasen’s stories unfold in wildly inventive worlds that invite the supernatural into our familiar routines: in “Bodies in Space”, an extramarital affair is rudely interrupted by an alien abduction, while in “Blunderbuss”, a third-grade class takes an ill-advised field trip to a floundering time travel institute. “Jenny” follows a reluctant caretaker’s attempts to manage his kind-hearted but headless sister, and in the title story, a group of sailors find their ship commandeered by an aggressively love-struck sea monster. Romping through the fantastic with bighearted ease, these stories find a universal yearning for connection in strange, seldom-explored spaces, revealing that aliens can help us think about loss, that time travel is just another way to talk about guilt, and that sea monsters may have a thing or two to teach us about love. With a captivating new voice from an immensely talented storyteller, The Sea Beast Takes a Lover uses the odd, the extraordinary, and the miraculous to expose us at our most profoundly and hilariously human.